A special bench headed by Chief Justice T S Thakur significantly cautioned him that in case of failure, he would have to return to prison. “We are also considering appointing a receiver of properties if the group finds itself unable to sell them to pay back dues to the investors. 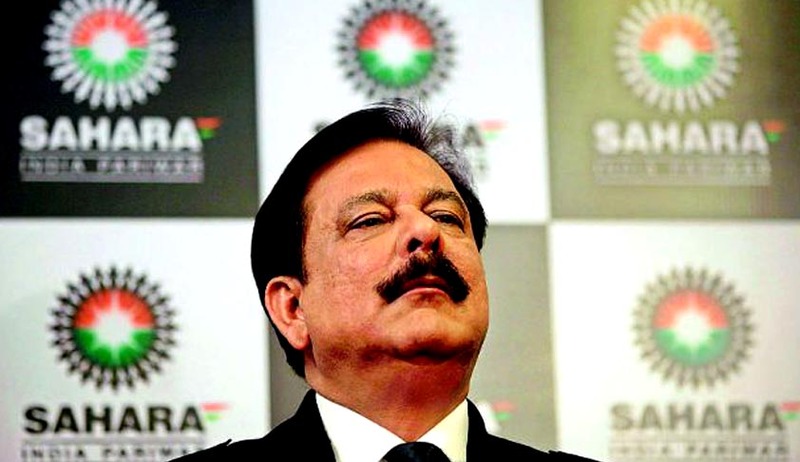 If you (Sahara Group) are unable to sell properties, then the court would be comfortable to appoint a receiver, the bench said, adding it also “did not want to keep a person in jail”. The bench, initially, asked senior advocate Kapil Sibal, representing Roy, to deposit Rs 1,000 crore with market regulator SEBI in two months or it will appoint a receiver, but later reduced the money to be deposited to Rs 600 crore till February 6, 2017. At the outset, Sibal said the group has deposited the money in pursuance of an earlier direction and filed a fresh re-payment plan to the court which asked senior advocate Arvind Datar, appearing for SEBI, and another senior advocate Shekhar Naphade, the amicus curiae, to file their response. The bench said the case, which is pending since 2012, has a history and asked SEBI and the amicus curiae to respond to the question as to whether the group is entitled to any further benefit in its re-payment schedule. Fresh from a reprieve given by the apex court, Roy had told the bench on October 22 that it was ready with a roadmap to deposit the remaining amount of Rs 12,000 crore in the SEBI-Sahara account by December 2018 to be refunded to the investors. Following this, the bench then continued with the interim bail and other arrangements granted to Sahara Group chief Subrata Roy till November 28. Earlier, the top court had said it had been taken for a ride by the Sahara group through its past conduct and had directed it to submit a roadmap to pay the balance amount of Rs 12,000 crore to SEBI, while extending the parole of Roy and others till October 24 on payment of Rs 200 crore. Sibal told the bench that they have deposited Rs 200 crore with SEBI in pursuance to an earlier apex court direction. The bench said Sahara has to deposit another Rs 200 crore by November 28 so that the interim arrangement could continue. Sibal said the group was ready with Rs 15 crore and the remaining amount of Rs 185 crore would be deposited by the next date of hearing. The court also allowed the group to re-auction certain properties in Ajmer, Firozabad, Vellore, Tiruchirappalli and Ujjain for which the bidding was at a much higher price. The bidding could not be taken to the logical conclusion at that time due to some legal impediments because of income tax issues. The group had yesterday told the apex court that it would deposit Rs 200 crore with SEBI in pursuance of the earlier direction and had sought advancement of hearing in the case. On September 28, In a huge relief to Roy, the SC had extended his parole till October 24. This was on a condition that he would deposit Rs 200 crore more with SEBI by then. The special bench also then asked Sahara to submit a road map or scheme for depositing the balance amount to secure Roy's release on bail. Today, Hon’ble Supreme Court was supposed to consider the roadmap, which was required to be file jointly by Saharas, SEBI and learned Amicus Curie. The Saharas SEBI and the learned Amicus Curie has discussed a proposed roadmap, however the same could not be presented as mutually agreeable roadmap. However the SEBI has said that instead of consenting to a particular payment schedule it would prefers the same to be left to the discretion of the Hon’ble Supreme Court. The court has asked SEBI to file the response on Saharas proposed road map where Saharas have proposed to discharge the liability of around Rs. 11000 Crores towards principle over a period of Two and a Half years. The time frame of Two and a Half years cannot be expedited any further, given the extremely depressed market conditions and the Hon’ble Court seem to have appreciated the fact.